Hailing from the same Southern California fight scene that launched the career of boxing superstar Oscar de la Hoya, former amateur standouts Luis Ramos Jr., Carlos Molina and Ronny Rios have started on their own roads to glory, already combining for a 23-0 professional record. Now they're teaming up with De La Hoya and Golden Boy Promotions to take on the world, as this standout trio has signed exclusive promotional agreements with Golden Boy Promotions. 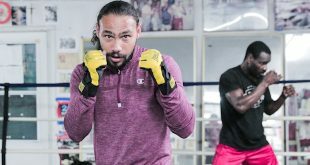 "I followed Luis, Carlos and Ronny as they went through the amateur ranks, immediately recognized their talent and watched how they have gotten better and better with each fight," said De La Hoya, President of Golden Boy Promotions. "I see a great future in this game for all three of them, both in and out of the ring. While Los Angeles area fans already know this, the rest of the world is going to find out about them very soon." Frank Espinoza, manager of the Los Angeles area trio added, "I've been privileged to work with these fine young men for a while now and given their potential, Golden Boy Promotions was the only firm we considered teaming up with on our way to world championships. 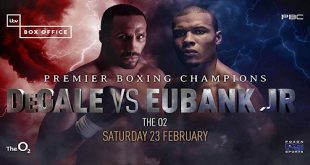 Oscar and his team are the gold standard when it comes to boxing promotion and we couldn't be in better hands." 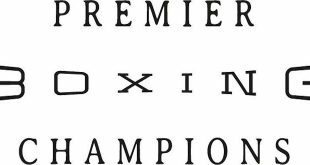 Ramos Jr., Molina and Rios will make their debuts under the Golden Boy Promotions banner when they each see action on the July 30 "Fight Night Club" event at Club Nokia at L.A. Live in Los Angeles. Luis Ramos Jr: A talented southpaw who has garnered rave reviews thus far in his professional career, Santa Ana, California lightweight Luis Ramos Jr. (11-0, 6 KO's) is seen by many fight game insiders as a young fighter with true championship potential and crossover appeal. A boxer since the age of seven, Ramos Jr. went on to ring up an impressive 120-16 amateur slate. After falling short of a spot on the 2008 U.S. Olympic team, Ramos Jr. decided to turn pro and in October of 2007 he debuted with a first round knockout of Christian Jose Reyes. Since then, the 20-year-old has been perfect as a professional and in his last bout on June 11, he knocked out 36-fight veteran Baudel Cardenas in five rounds. "This is a dream come true, said Ramos Jr. "I'm looking forward to a long career and to making things better for my family through boxing. "I'm really excited and never expected that one day I would be signed with Oscar who I always watched growing up. This proves that dreams can come true if you work hard enough." 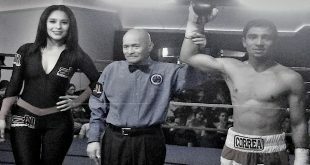 Carlos Molina: A former National Amateur Champion, 20-year-old Carlos Molina has begun his assault on the professional ranks in impressive fashion, compiling a perfect 7-0 record with 3 KO's in the lightweight division. That includes a shutout six round win over 53-fight veteran Anthony Martinez in his last bout on May 21st. Known for a fan-friendly style based on blazing speed and pinpoint accuracy, the native of Commerce, California guarantees excitement whenever he steps into the ring. "I'm happy to be a part of Golden Boy Promotions, who is the best promoter out there," said Molina. "I feel really blessed to be where I am and I'm looking forward to making a name for myself through this company." Ronny Rios: One of the most decorated amateurs to hit the boxing scene in recent years, National Golden Gloves and two-time U.S. Amateur Champion Ronny Rios (5-0, 2 KO's) is well on his way to duplicating his amateur success as a professional. Just 19 years old, the Santa Ana, California featherweight is coming off a 2nd round knockout of 20-fight veteran Alvaro Muro in May and is drawing more and more comparisons to a young Oscar de la Hoya with each passing victory for his style and speed in the ring. "I'm very flattered to be here and excited to perform for Golden Boy Promotions as they are the biggest promoter in the sport today," said Rios. "I feel that there is a lot expected of me right now and I'm ready to meet those expectations."